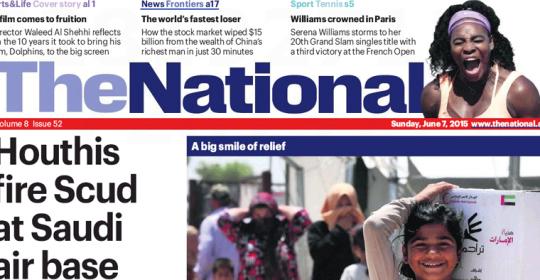 ABU DHABI // The National / Jennifer Bell / June 6, 2015 // There is only a handful of beds available for patients with psychiatric illnesses in the UAE. The World Health Organisation report found the Emirates has the among the lowest ratio of psychiatric beds per head in the world, with one bed for every 100,000 people. There are significantly higher rates elsewhere such as 34 per 100,000 in the UK, 50 in the United States and 343 in Australia. 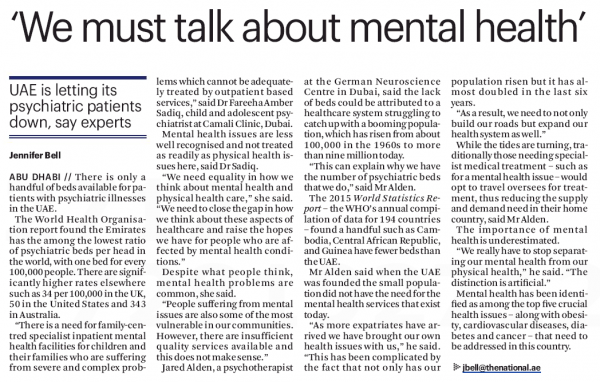 Jared Alden, a psychotherapist at the German Neuroscience Centre in Dubai, said the lack of beds could be attributed to a healthcare system struggling to catch up with a booming population, which has risen from about 100,000 in the 1960s to more than nine million today. “This can explain why we have the number of psychiatric beds that we do,” said Mr Alden. The 2015 World Statistics Report – the WHO’s annual compilation of data for 194 countries – found a handful such as Cambodia, Central African Republic, and Guinea have fewer beds than the UAE. 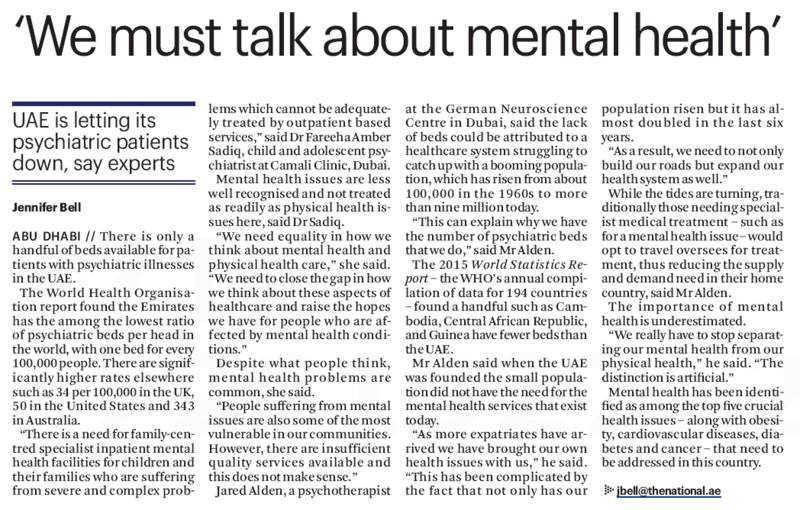 Mr Alden said when the UAE was founded the small population did not have the need for the mental health services that exist today. “As more expatriates have arrived we have brought our own health issues with us,” he said. “This has been complicated by the fact that not only has our population risen but it has almost doubled in the last six years. While the tides are turning, traditionally those needing specialist medical treatment – such as for a mental health issue – many would opt to travel oversees for treatment, thus reducing the supply and demand need in their home country, said Mr Alden. The importance of mental health is underestimated. Mental health has been identified as among the top five crucial health issues – along with obesity, cardiovascular diseases, diabetes and cancer – that need to be addressed in this country.